Jamen Shively is the Founder & CEO of Diego Pellicer, which he claims is the first retail brand in the United States focused exclusively on legal, premium marijuana for pleasure and creative pursuits. He believes that marijuana should be consumed responsibly and in moderation. 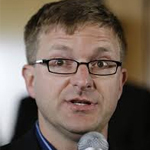 He was the former Microsoft Corporate Strategy Manager. He is also the Great Grandson of Vice Governor Pellicer. Jamen has a background in engineering and marketing, with specialties in artificial intelligence, the modeling and optimization of complex systems, logistics, manufacturing, and the creation and positioning of new categories of products and services. 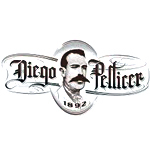 Prior to founding Diego Pellicer Inc., Jamen worked for Microsoft as Corporate Strategy Manager, where he focused on the creation and development of new categories of software products and online services. Preceding his Microsoft career he headed Shively International Inc., which built and operated both cybercafés and educational computer centers in Mexico. Before founding Shively International, he worked for Cemex in Mexico and was the designer of the Tactical System for Cemex, which, using an artificial intelligence technology which Jamen developed, determines the optimal production and distribution plan for all of Cemex cement products worldwide. Just prior to founding Diego Pellicer Inc., Jamen founded and headed the online marketplace for the specialty food industry, Findood. Jamen completed his undergraduate work at U.C. Berkeley in Civil Engineering, and did graduate work at M.I.T. and U.C. Berkeley in Civil Engineering and Materials Science. He is a Fellow of the National Science Foundation.